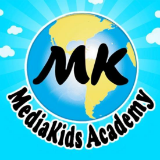 MediaKids is run by a combined Western and Thai team with many years' experience working in the industry. Our programs are aimed at improving the English language skills of Thai children. We run English programs for communicative development, intensive English programs, and programs that include teaching Math, Science, Computing, and Health in the English language. Please only apply if you meet ALL of the above requirements.